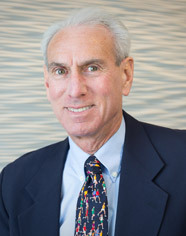 Bruce Mogol is currently a Partner Emeritus with KBST&M. He joined the firm in 1996. He has over forty-five years of public accounting experience serving many clients in various industries, including professional services, real estate, healthcare, manufacturing, and retail. Bruce’s areas of concentration are taxation, accounting services, and management advisory services. Bruce holds a Bachelor of Science degree in Accounting and a Masters of Business Administration from the University of Baltimore. From 1976 to 1981, he taught undergraduate and graduate level accounting courses at the University of Baltimore.